Prominent & Leading Manufacturer from Noida, we offer misting systems, water mist system, dust supression system, waste water evapolator, zero liquid discharge system and humidity control equipment. 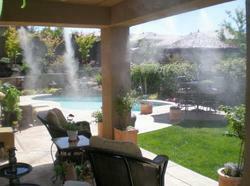 We are engaged in supplying fog and mist creating Water Mist System. Increased maintenance cost and lower productivity. 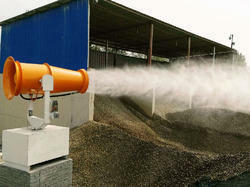 Fog Cannon mist cannon is designed for effective Dust Control by spraying fine mist. The mist mixes with air and breaks the water molecules in microns tis water particle strikes with dust particle and makes it heavier and helps to minimize the dust, reduce the health risk and improve the air quality. The system needs minimum power supply. 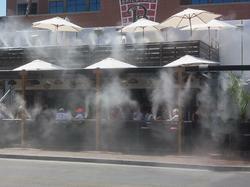 We offer Fogging/Mist Machine. We design the given product following industrial standards by making use of best quality material and modern technology. Evaporation technology offers the simplest and most effective approach to industrial wastewater minimization. Wastewater Evaporation Unit is designed for use in larger evaporation ponds or areas where over spray is less of a concern. The fan's airflow produces a large spray pattern which allows longer float times, thus allowing greater evaporation rates. (Evaporation rates depend greatly on weather conditions such as ambient temperatures, relative humidity, wind speed, etc). Correct humidity control in a tea factory will improve oxidation fermentation process. The tea levels retain their moisture content during fermentation that helps to improve the liquor and density of tea. By creating perfect environment for development of tea’s optional character tics is not easy but you can get maximum result by achieving your desired RH level by atomizing the water droplet up to 5 microns with 100% evaporation. 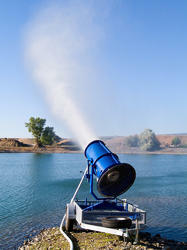 There are different ways that Odor Control products are applied. The method of application usually depends on the source of the odor. 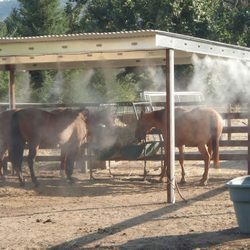 Our livestock cooling systems include evaporative animal cooling systems, fogging and misting systems, and various parts to keep your animals cooler in the hot summer months. Browse our selection of livestock cooling systems. 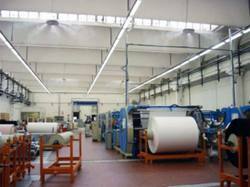 In the textile industries the optional humidity is around 60%. In many regions is necessary to increase the natural relative humidity for several reasons. Heating or cooling systems are drying the air. Reduced learning of the yarn.